Imagine this: you can advertise your products and generate leads on any YouTube channels, or any Yahoo news articles for FREE. When you share an article link created by our Campaign Builder, your followers can see the post as usual. 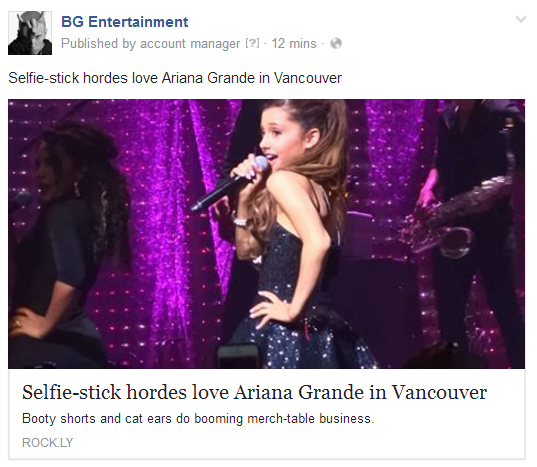 For example, the following screenshot is what your followers will see when you share entertainment news about a female singer. There is nothing different than when you post without our Campaign Builder. But after your followers click on your link, the magic happens. Instead of reading the article immediately, they will see your revenue or lead generating campaign first, depending on what campaign template you were using while creating the link. A detailed traffic report for each link is also provided within the system. So you not only know how many times your ads were viewed but also when and where they were viewed from. You can easily stop and resume your campaigns as well with just one click. There are around 100 stunning templates to choose from to create your high-converting advertising and lead generation campaigns. A simple yet very powerful WYSIWYG ad builder is available for you to customize your ads and make them look the way you want within a few minutes. There are 8 different types of templates that you can use to implement different revenue generation strategies. This is the quickest way to get a lot of leads and boost your subscribers. The close button on the upper right corner is optional. If you remove the close button from your design - then only after your audiences subscribe to your email list, the popup will be automatically closed, and they will be able to continue browsing the webpages you shared. 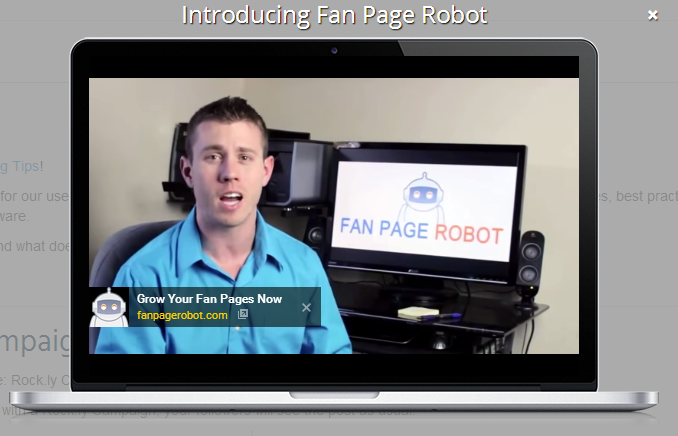 Fan Page Robot allows you to integrate the subscription form with 10 major email marketing programs, such as AWeber, MailChimp, GetResponse, and iContact. This template is very similar to the above style; your audience will have to click on one of the social media buttons before browsing the content. This is the quickest way to boost your social media followers. You can hide content from your visitors until they like your social pages, share your content, as well as invite their friends to visit your fan pages. This template makes the subscription process much easier for your audiences. 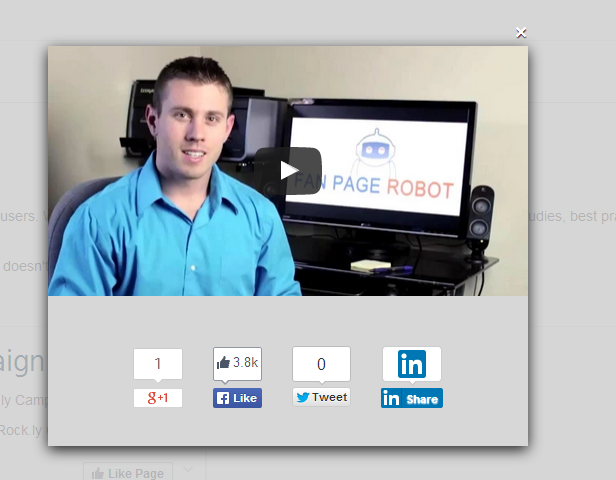 It adds options for your visitors to subscribe to your email list using their Facebook and Google+ accounts. 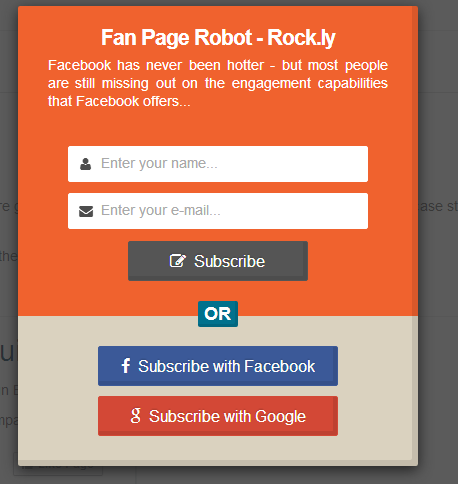 This small and easy step definitely helps you make your visitors interested in being eager subscribers. 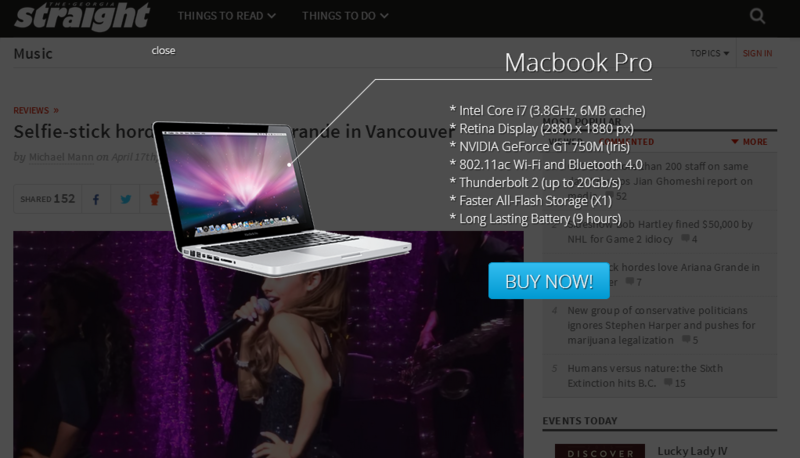 You can use this type of splash ad to showcase your product and highlight its benefits. 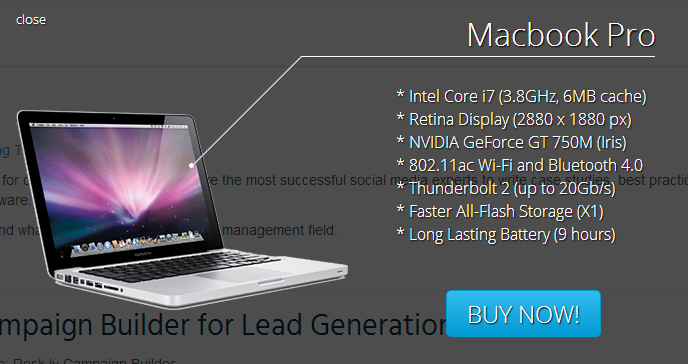 Hyperlink the appealing call-to-action button with your eCommerce website or your Amazon page. Use this template to run a quick survey among your audiences. 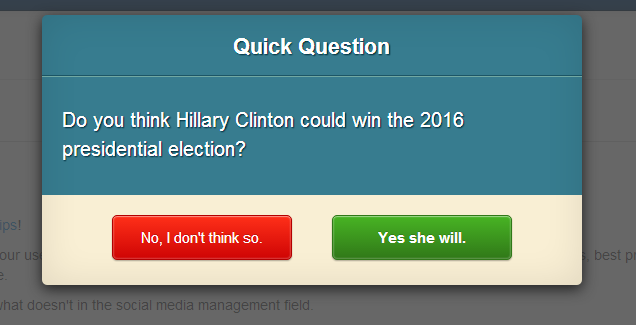 You can link the “Yes” button to one page and the “No” button to another. You can also make one of the buttons behave like a close button, so when your visitors click on it, it closes the popup and allows them to keep browsing the original web page. Use this attention-grabbing template to Autoplay your YouTube video or any advertising video before your followers read the page you shared. Autoplay videos have become widely adopted on major social channels, such as Facebook, Twitter, and Instagram, as videos always provide higher levels of engagement. This type of template helps you bring your online audience offline. If you have a free giveaway event or a fun party, you can ask your visitors to RSVP to your event. The above example has a Google Map integrated to show where the event is located. 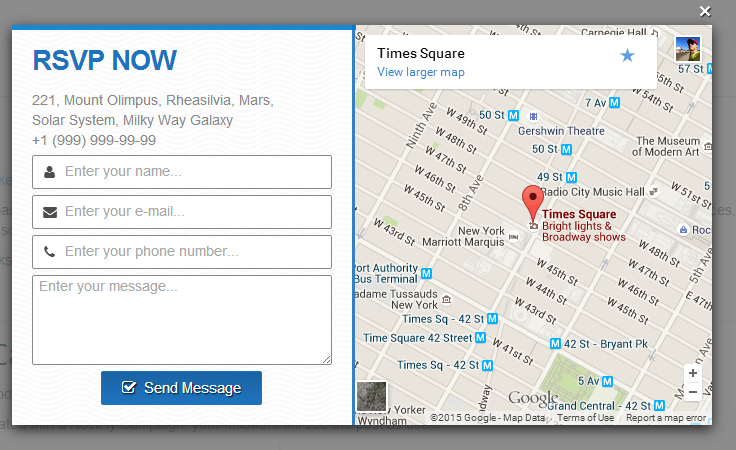 Instead of a Google Map, you can add any elements you want, such as iFrame, Flash, Video, etc. Many companies use free eBooks or special offers to effectively generate leads from their landing pages. A simple lead generation form can help you monetize your users, gain prospects, as well as manage all important data by combining with the mailing system and CRMs. The more content, offers, and lead pages you create, the more opportunities to generate more leads there are for your business. 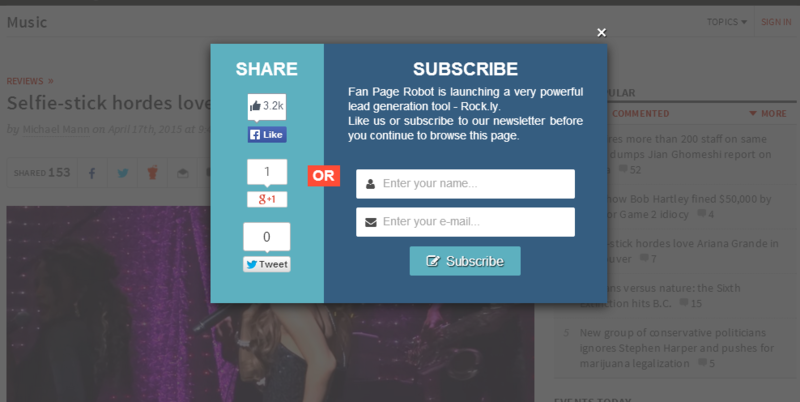 The Campaign Builder tool at Fan Page Robot can help you easily automate the lead generation process and use effective tactics for social media marketing. Join us now and start to increase your revenue from social media!